FACEBOOK is no longer considered cool by Australian teens with its popularity among youngsters plummeting 70 per cent in two years. 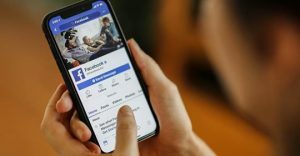 A new survey by Best Enemies Education of 800 Australians aged 13-18 has revealed just 11.57 per cent say the Mark Zuckerberg site is their most used app — a dramatic decline from two years ago when it was ranked number one. Meanwhile, Instagram and Snapchat’s popularity is soaring, with more than half of teens saying Instagram is their most used app and about one in four saying they use Snapchat the most. Best Enemies director Ross Bark, who runs cyber-safety courses in NSW schools, conducted the research and said teens no longer wanted to be on Facebook because it had been taken over by their parents. “They want to use apps where they’re not going to be monitored,” Mr Bark said.